Over the past month the City Of Melbourne has hosted BBQ lunches in Port Melbourne and Kensington to showcase the application of solar installations for small industrial facilities. In one example, Polivac International, the makers of commercial cleaning equipment installed a 20kW solar array on their building at the Kensington Industrial Park. Solar installations, the size installed by Polivac, are becoming very commercially attractive and leading businesses are embracing the opportunity. In Polivac’s case they estimate that it will take 3.5 years to completely pay off the system and will halve their ongoing electricity bills for the life of panels, which are warranted for 25 years. According to statistics provided by the Clean Energy Council, there are 2,421 solar PV systems in the range 10kW to 100kW, with the average being 18.3kW. In total, the CEC estimates that Victorian businesses have spent $75 million, on solar with total capacity of those systems being 44,241 kW. The CEC also estimates that this collective investment delivering benefits to Victorian businesses in the form of at least $10.5 million per year in cost savings. At the one of the BBQ’s, Polivac International spoke at length about benefit and challenges of installing solar on their building and Cr Arron Wood reiterated the City Of Melbourne’s vision to be a zero net emissions city by 2020. 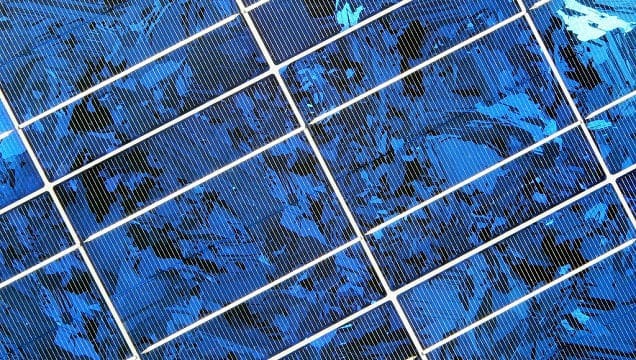 Solar is a key focus for the City Of Melbourne achieving its target and Sustainable Melbourne Fund is able to provide easy to access funding for solar. Warehouses are an ideal building type for the installation of solar due to high sun exposure, low surrounding buildings and high levels of energy use on site.